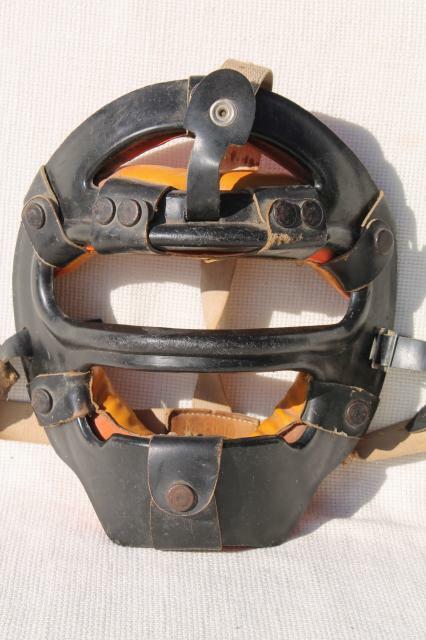 old ball players catcher's mask with leather and canvas straps. 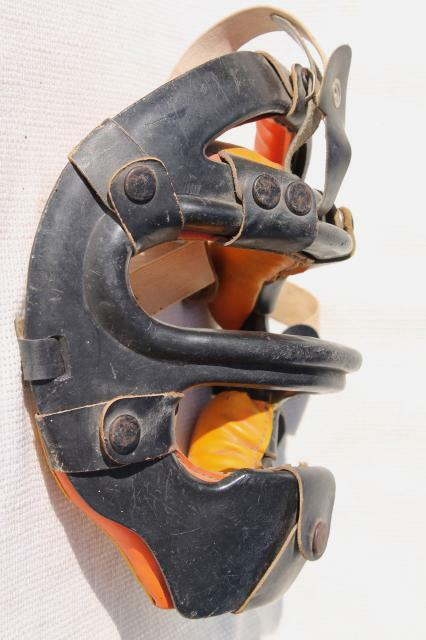 It measures 10" high and 9" wide. 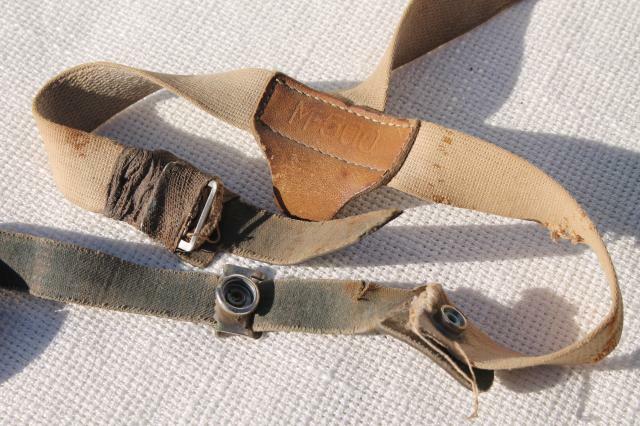 I'm not sure of the maker or exact vintage, probably 60s, but it's marked M500 on a leather patch on straps. 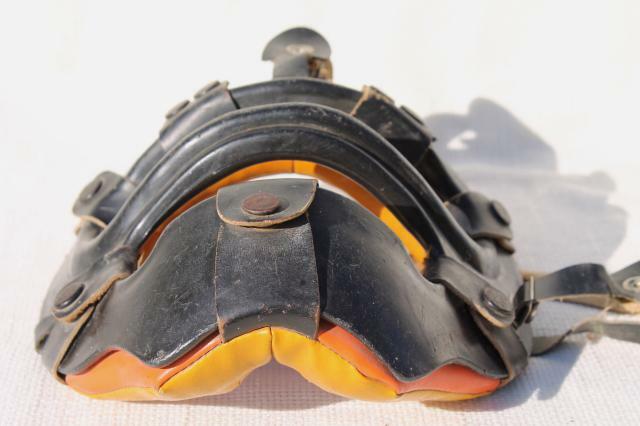 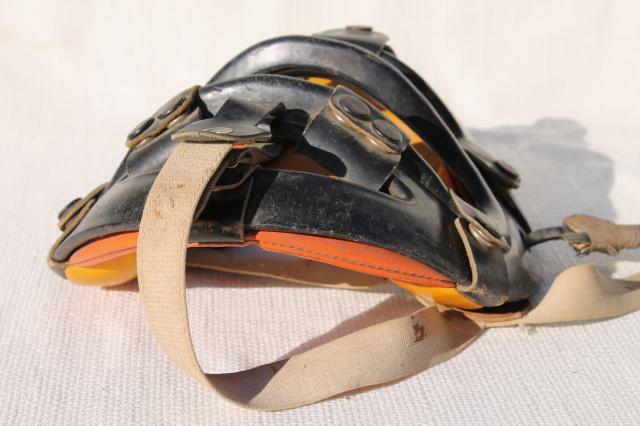 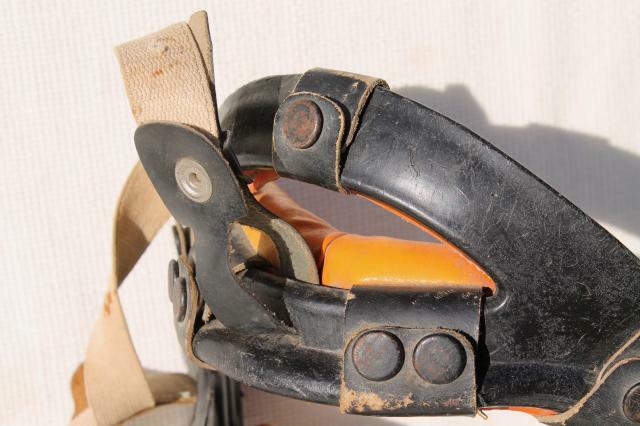 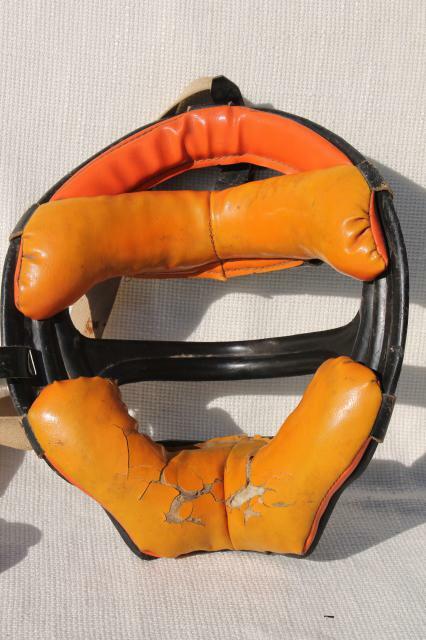 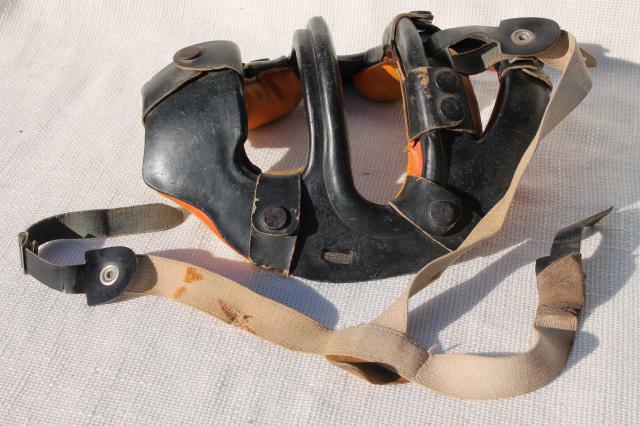 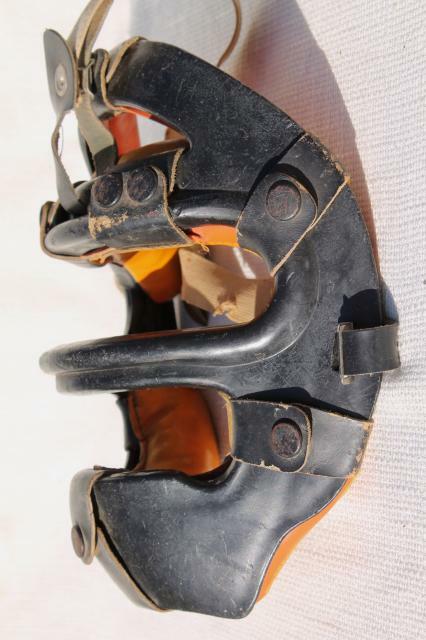 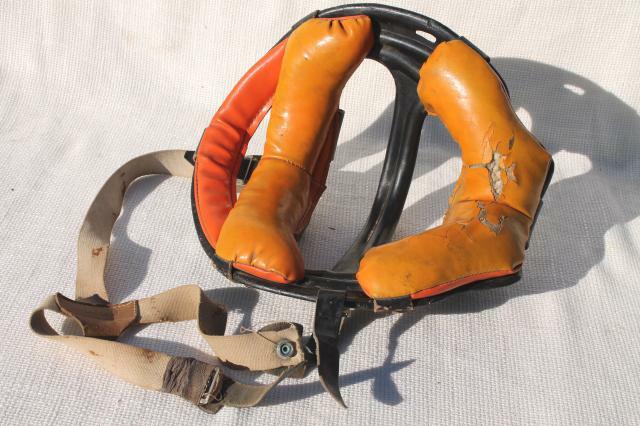 The straps and face padding are worn and cracked as shown.